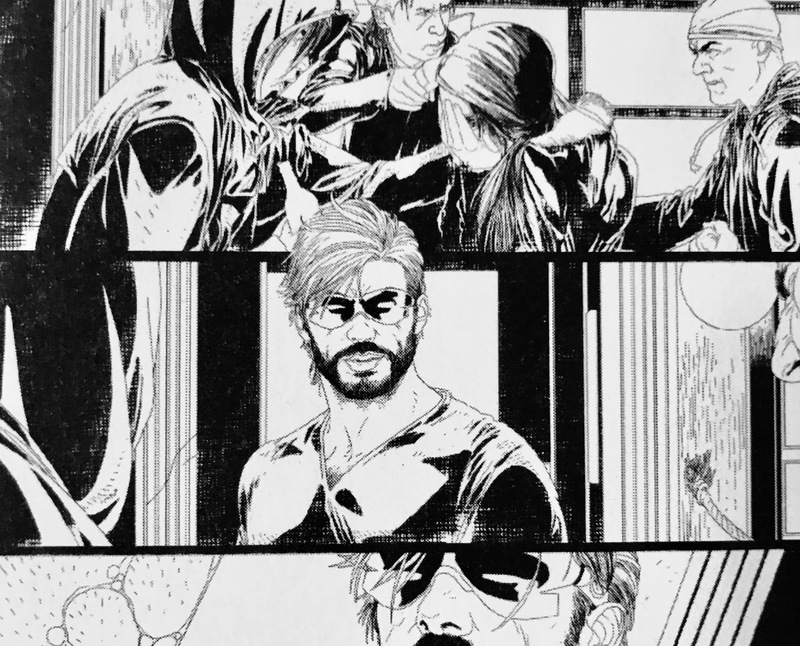 First look at bearded Cyclops in February's Uncanny X-Men #11 – AiPT! Cyclops is back… and he’s rocking a badass beard. Have you been to your local comic book shop today? If you haven’t, then you’re missing out on the new Marvel Previews catalog, featuring your first look at interiors from the highly anticipated Uncanny X-Men #11. That’s right, Cyclops is back from the dead (again)–and he appears to be rocking… a beard! Marvel’s given us bearded Nightcrawler, bearded Mister Fantastic… it was only a matter of time before Scott Summers jumped on the facial hair bandwagon. These pages provide no clues as to how Slim has defeated death, though we’ll surely get that information in January’s Uncanny X-Men Annual #1 by writer Ed Brisson and artist Carlos Gomez. Based on the unfinished pages from Uncanny X-Men #11 by writer Matthew Rosenberg and artist Salvador Larroca, we can possibly expect a new human adversary, a fight and a cup of coffee. Whether you were #TeamCyclops or #TeamWolverine, there’s no denying Scott looks great. Seriously, whatever he’s been doing–keep it up, considering this is what he looked like last time we saw him.